I love you wall sticker. 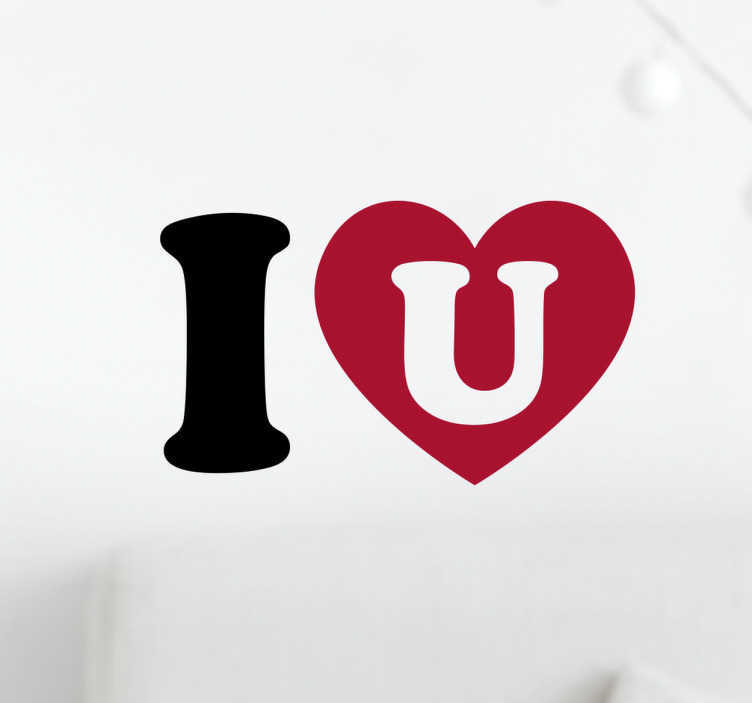 Let that special someone know how you feel with this romantic wall sticker. This wall decoration consists of the message "I love you" with a love heart symbolising the word love. If you're struggling for ideas on what to get for valentines day, this sticker will certainly be a pleasant surprise. Every time your partner sees this sticker, they'll be reminded of how much they mean to you.